A collectible 2017 $10 Maple Leaf 2 oz. silver coin that commemorates Canada’s 150th Anniversary of Confederation is nearing a sellout. Less than 300 of the possible 6,000 coins remain, according to the Royal Canadian Mint. Priced at CAD $169.95 or about US $127, the coin features a light-diffracting wave pattern and is based on the Mint’s popular bullion Silver Maple Leaf. "The recurring number 150 and a maple leaf shape form a light-refracting pattern that adds an alluring shine to your coin’s design — just like the enhanced security features found on actual bullion coins," the Mint describes. The Maple Leaf coin has gone on and off sale more than once. Its sales were last halted, with a status of "awaiting stock," after 84% sold. 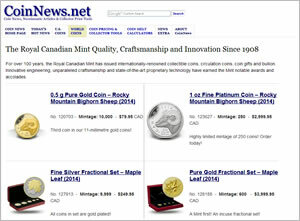 On Tuesday afternoon, the Royal Canadian Mint announced their return. Its sales advanced to 90% by Wednesday morning and then to 95% by Wednesday evening. The 2017 $10 Canada 150 Iconic Maple Leaf 2 oz. 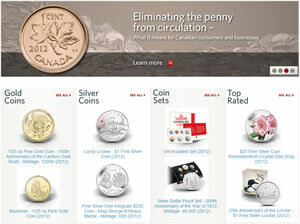 Silver Coin is available from the Royal Canadian Mint with a link to its product page right here. Each is GST/HST exempt and ships free. Coins are encapsulated and in a Royal Canadian Mint-branded maroon clamshell with a black beauty box. Preorded one from MCM graded NGC MS 70 early release. Looks great. Why can’t we make one in an Eagle like this?